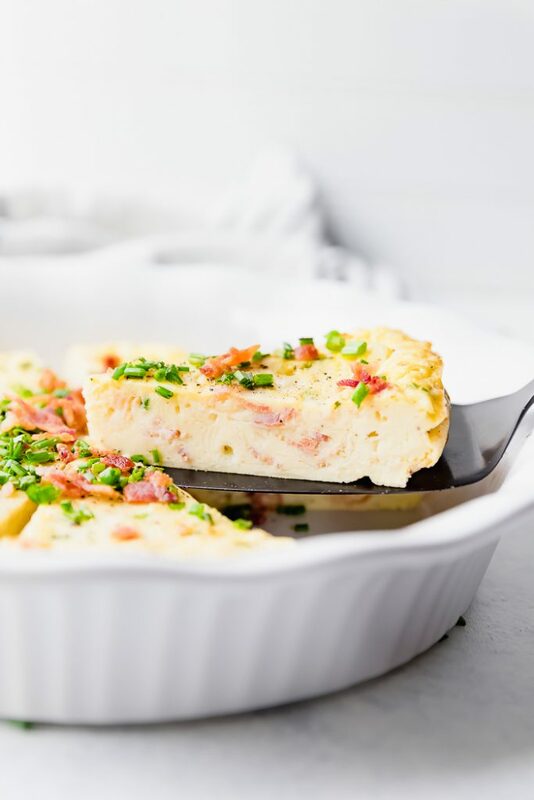 A lightened-up recipe on a brunch classic, this Bacon Chive Crustless Quiche is simple, easy and delicious. Adding bacon makes everything incredible. This recipe is great for breakfast or brunch, but is also an easy dinner solution. Our family loves quiche for dinner thanks to our neighbor Jill, who makes it often, and my daughter Jersey just loves it. Our journey with food this year is just that – a journey. Trying to figure out some health issues with Jersey has had us trying new things and products we haven’t tried before. While we’ve tried the basic gluten-free diet, we are venturing into other things too. So when Bolthouse Farms asked to collaborate, I thought this was the perfect way for our family to try something new while still enjoying one of our favorite meals. This post was is in sponsorship with Kroger and Bolthouse Farms®. All opinions expressed on my site are my own. 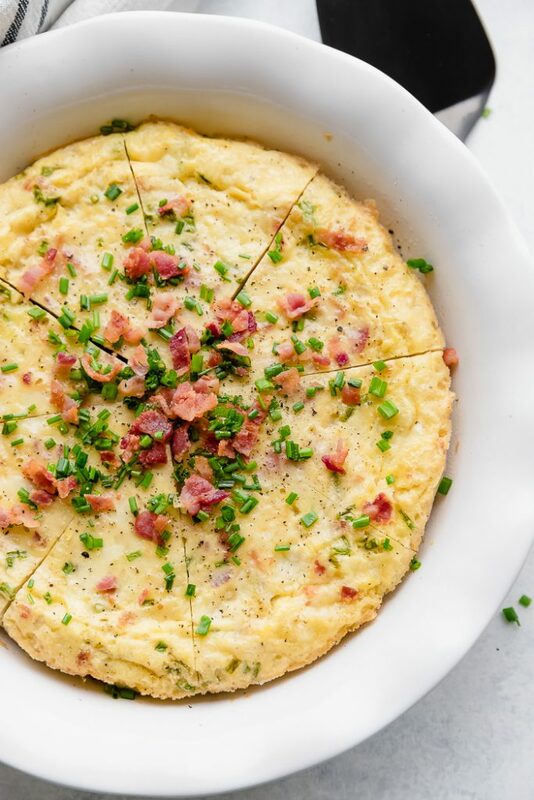 What I love about this recipe for Bacon Chive Crustless Quiche is that it’s completely versatile. 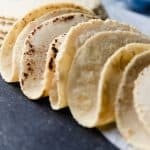 You can add or subtract ingredients depending on what your family and guests can tolerate. 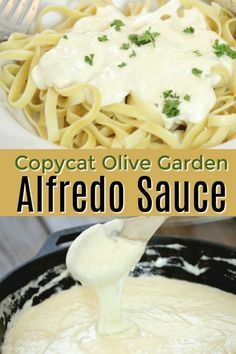 For example, in this recipe, you can add Gruyere cheese or leave the cheese out completely and use another filler. 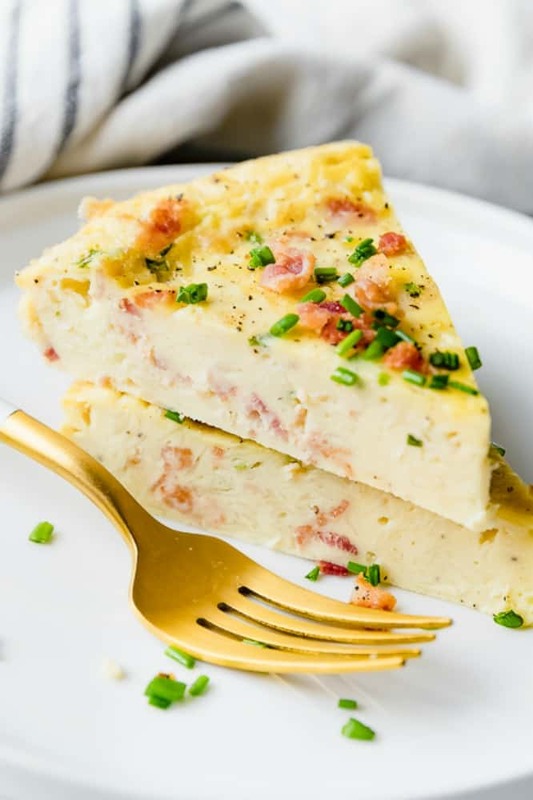 Typically, what I will do in my family is make two quiches, one fully loaded with cheese, bacon and chives, and another on the lighter side. That way all can enjoy what they prefer. And this time, I used Bolthouse Farms Plant Protein Milk, which is a non-dairy plant-based alternative milk. 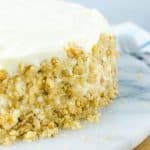 For this recipe, I went with the Unsweetened flavor, although there are 3 other flavors you can pick from. But for savory dishes, I would stick to the Unsweetened. This Plan Protein Milk contains 10 grams of pea protein per serving, which is more than most alternative milks– for example, almond milk only has 1 gram of protein. Bolthouse Farms(R) Plant Protein Milk also has 50% more calcium than dairy milk! If you are used to traditional dairy and are having a hard time transitioning to alternative milk, I’m happy to report that Bolthouse Farms (R) offers a great variety, giving you options to try. For sweet recipes like ice cream or cake, I would use the Vanilla or Original flavors. And what’s fantastic with this recipe is that you won’t even notice the difference. My friend Shannon had her husband try a piece of the quiche and didn’t mention the substitution to him, and he loved it. He literally had no idea we used plant-based milk. Huge success. Quiche is a savory flan typically consisting of a lined pie plate with a pastry crust, or pie crust and a filling made with eggs, milk or cream, cheese, meat, or vegetables. Quiche is versatile and can be served hot or cold. Traditionally, it is served at brunch and is great to feed a crowd. Cook bacon until crispy and drain on paper towels. Spray a 9-inch pie plate with cooking spray. Whisk together eggs, milk, flour, and butter until thoroughly combined. 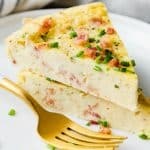 Pour the egg mixture into the pie plate, then scatter cheese, chives, and cooked bacon evenly on the bottom of the plate, and with a fork gently fold in. Then grind fresh pepper on top of the quiche. Bake until eggs are set, about 30 minutes. Cool for 5 minutes, cut into wedges, and serve. 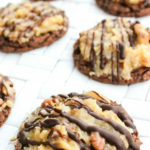 With so many options being opened up today that include fantastic substitutions for people with allergies, it can be easy to make some of your favorite recipes with a few minute adjustments. 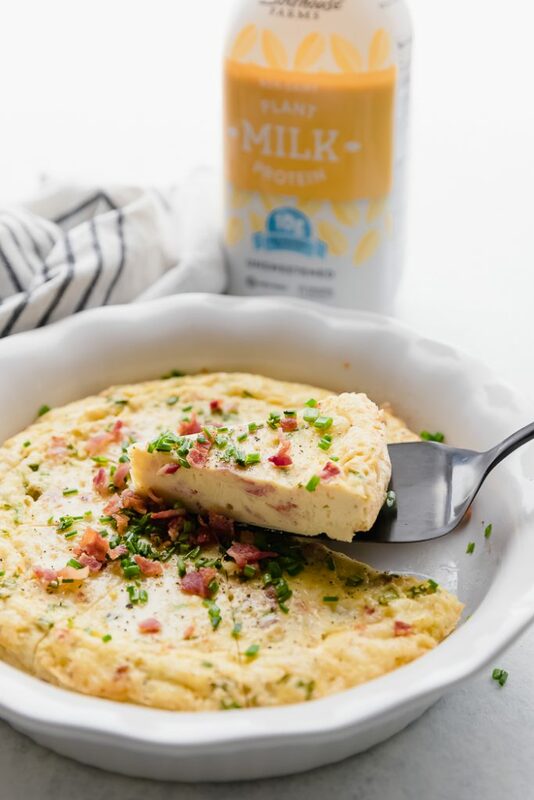 Here’s a fantastic list of quiches in which you could simply substitute Bolthouse Farms (R) Plant Protein Milks for dairy milk and get the same fantastic dish. 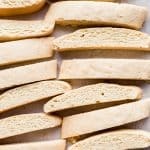 Not all recipes are adjustable, so make note that these are recipes where you are fine to substitute. 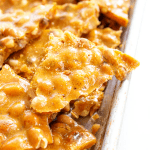 If there is a recipe you are wondering about, feel free to ask me or the blog you are getting the recipe from. 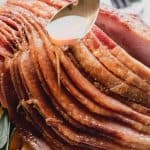 Best quiche recipes include Easy Sausage Quiche, Bacon Fajita Quiche, Asparagus Bacon Quiche and Ranch Bacon Potato Quiche. Looking where to find plant-based milk? 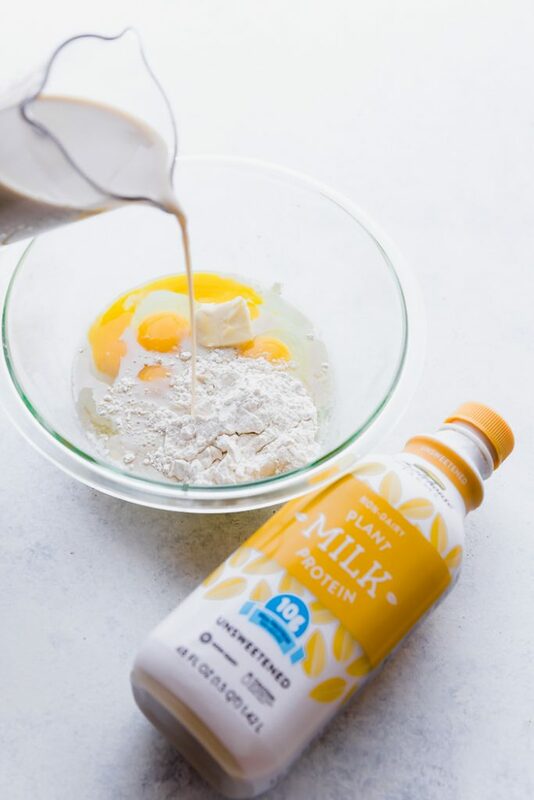 I would check your local Kroger for Bolthouse Farms (R) Plant Protein Milks. At my home store, King Soopers, there is a large selection, and it is always easily available. I love my local King Soopers, and I often walk out of there forgetting where I parked because I have relaxed, browsing the aisles with a coffee or hot chocolate in hand. And if I don’t have the time, then ClickList all the way. 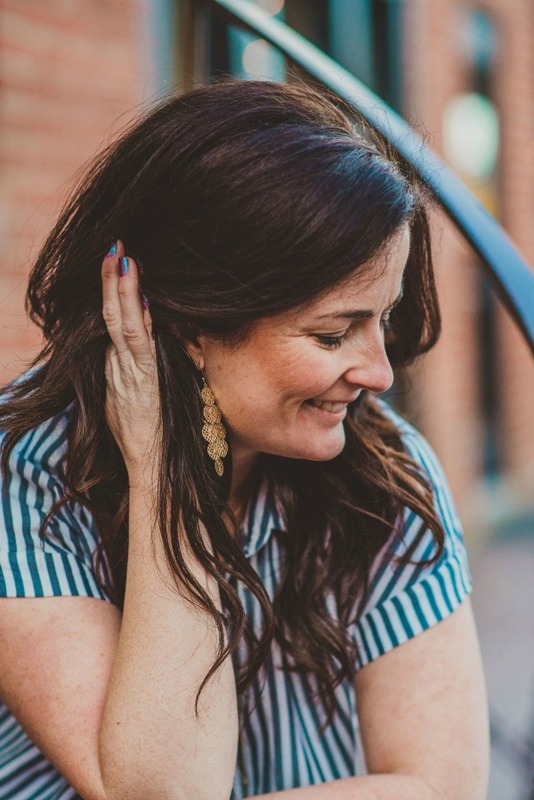 It has been a huge time-saver for me, and I love being able to shop from home. 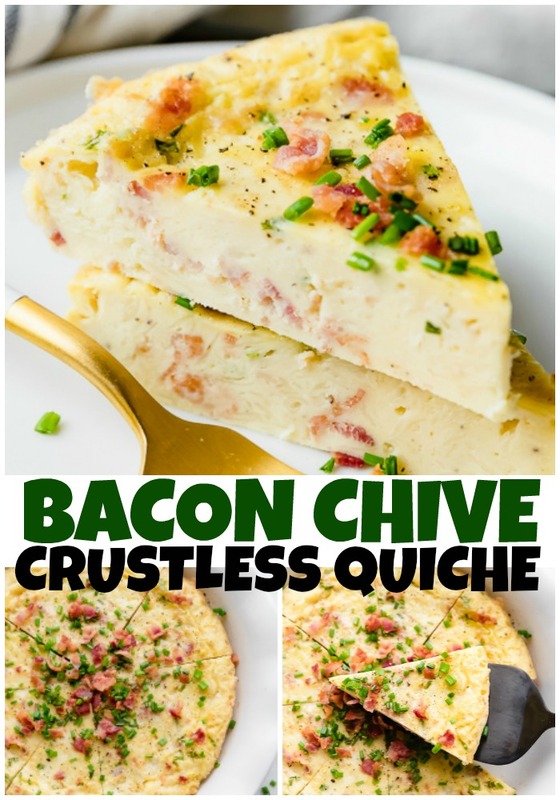 Don’t forget to pin this recipe for BACON CHIVE CRUSTLESS QUICHE to your favorite Pinterest board for later. A lightened-up recipe on a brunch classic this Bacon Chive Crustless Quiche is simple, easy and delicious. Adding bacon makes everything incredible. This quiche looks perfect for a Spring brunch! Thank you, it definitely is great for brunch! Love that this is crustless! Looks so delicious! Low-carb for the win! I hope you enjoy it! This is so thick and fluffy! I love it. I have actually never made a crustless quiche before. I definitely need to try it out! This is a great combination of flavors. I really like this crustless quiche. Yippee!! 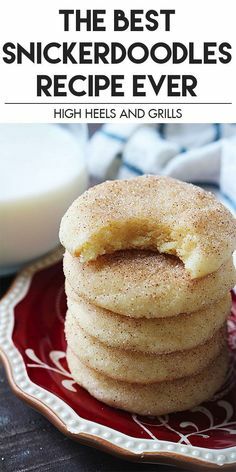 Thanks for such an awesome recipe. 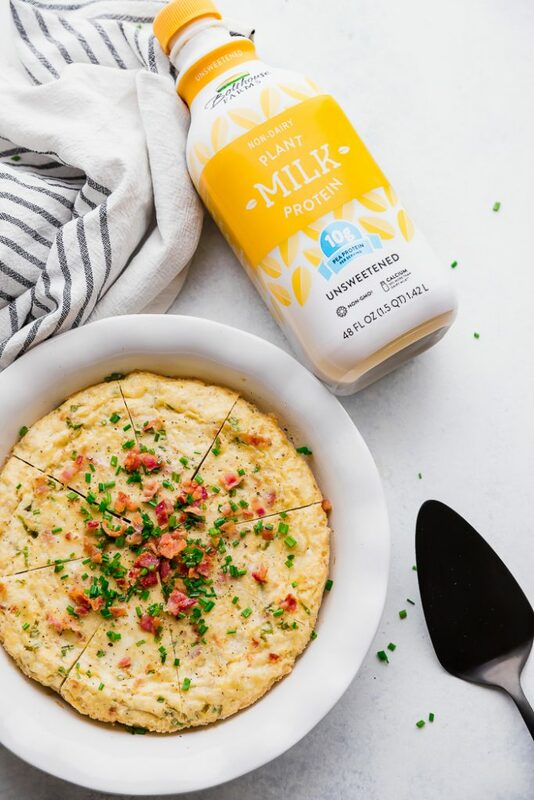 I love this brand of plant-based milk brand your quiche looks just perfect! It really is such a great dairy alternative. Thank you! You picked some really great ingredients for your quiche. My kids would devour these things! Thanks, I hope you and the kids enjoy it! This looks amazing! A perfect brunch for Easter! Thank you, that’s definitely a great idea, let us know how it turns out!